The 2015 Best of SRQ Local polls are open through midnight, February 14, 2015. 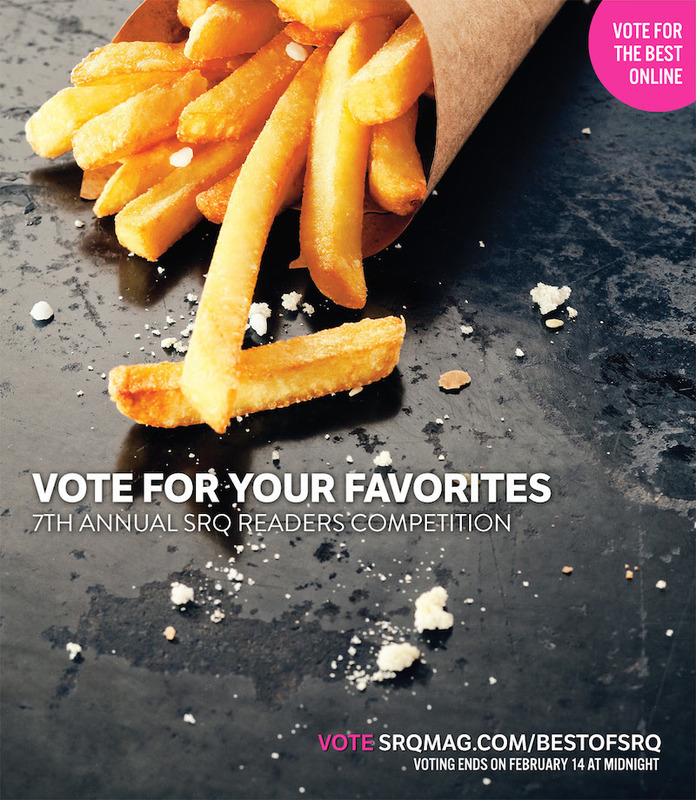 We are nearing the home stretch for voting in the annual 2015 Best of SRQ Local Competition! With a month left in the competition, it’s fair to say that anything can happen! Throughout the competition we’ve been reminding you to vote for your favorite locations, businesses (and even moments in our local history) that inspire you to live local. And you’ve obliged – showing up in record numbers to tell us about the best of the best in our community. While we can’t share any spoilers of who’s in the lead, we will give you a sneak peek at the hardest-hitting categories. The way into your hearts is clearly through the stomach, with two of the top three categories simmering away in the food group. Coming in at first place, Best Breakfast. In third place, Best Local Burger. Hungry yet? …And establishing what we already know about the heart of this great community, the second highest hit category: Best Local Non–Profit. But why stop voting now? With a month left, there’s still time to support your very favorite places around town. Polls are open through midnight on February 14, 2015. Winners will be announced in the April 2015 edition of SRQ Magazine. Visit Best of SRQ Local site to cast your ballot. Get the word out. Tell your friends. Vote local. Live Local. ← Marketing Opportunity: Show Us Your (Home) Makeover!